This Spring, add some color and some much-needed flair into your daily life with the latest expressive portable Bluetooth speakers from Ultimate Ears, the WONDERBOOM Freestyle Collection. 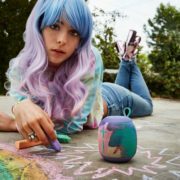 These water-proof, pint-sized must-have music accessories not only blasts amazing sound, they also float in water, they are now available in five fashion-forward colors. They may be small in stature, but the Ultimate Ears WONDERBOOM Portable Speakers are big on sound and are perfect for pool parties, beach trips, and camping – basically wherever you want your favorite music. A surprisingly big sound: The WONDERBOOM packs bright and bold sound with balanced bass into a pint-sized speaker. Enjoy your music in true 360° sound like never before. Double the speakers, double the fun: If you think one WONDERBOOM sounds great, you’ll love how they sound together. Turn things up by connecting two WONDERBOOM speakers together with the press of a button. Easy Play, Pause and Skip: Control your music right from the speaker. Pressing the Ultimate Ears button on the top of the speaker lets you easily play, pause and skip songs. It’s virtually Indestructible: This little beauty is also a beast. This tough little guy is drop-proof from up to five feet. 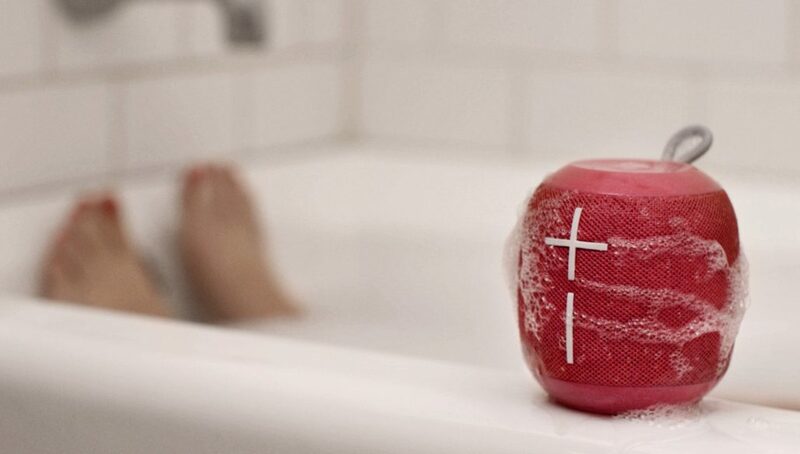 It’s seriously waterproof: It is IPX7 rated (it can be immersed in water up to one meter for up to 30 minutes) and able to float on its own, the Ultimate Ears WONDERBOOM is the perfect companion for showers, pools, beaches, muddy fields and rainy days. If it gets dirty, just rinse it off. With summer around the corner, the Ultimate Ears WONDERBOOM will show off your style and keep the music playing. 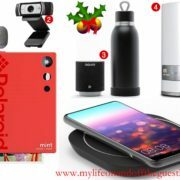 There was a time where tech gifts only referred to cellphones, computers and the like, but with the fusion of technology into almost every industry, many holiday gifts have surpassed being in one category. Technology is finding it’s way into everything from fashion, food, and of course our home life. Things like mirrors and candles now boasts innovative technology. The following 2017 Holiday Gift Guide highlights some of the must-have holiday gifts ideas to keep your home life running seamlessly and in some cases, wirelessly. 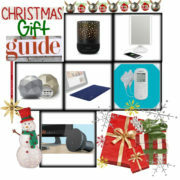 We know looking for the perfect gifts for the loved ones on your Christmas and Holiday shopping lists can be a chore. Allow us to show you some great gift ideas in our 2017 Holiday Gift Guide that they, and you will love. iHome iZM100 Meditative Light + Sound Therapy Candle, $69.99 – Imagine enjoying a candle that never goes out, doesn’t get hot, and won’t burn out. This candle will not only shimmer and dance like a real candle, it also delivers meditative lighting & sleep therapy effects to keep you focused, relaxed and able to fall asleep fast using the renowned 4-7-8 method inspired by yoga breathing techniques. iHome iCVBT2 Reflect Vanity Speaker, $79.99 – Getting ready to go out, whether to work or play can seem tedious. Why not let your mirror entertain you? Who doesn’t love listening to their favorite music while getting ready. This distortion free mirror with bright accent LEDs and high and low settings, streams audio wirelessly via Bluetooth from your mobile device. Enjoy features like playlists, weather, news and other requests with the help of Siri and Google Now. Norton Core Router, $279.99 – The future of WiFi is here. This very stylish secure router is the perfect security device for your connected home. The Core boasts a built-in dual core processor at 1.7GHz, and more memory and flash storage than typical routers. It simultaneously transmits at 2.4GHz and 5GHz, so your smart devices connect to the best available band. It supports speeds up to 2.5 Gbps1, ensuring amazingly fast 4K streaming and lag-free gaming, and its beamforming antenna tower focuses WiFi directly to devices in the distant corners of your home. Say goodbye to dead zones in your home. Omron Heat Pain Pro TENS Unit Electrotherapy Device, $89.99 – Wouldn’t you love to ease your muscle pain from the comfort of anywhere in your home? Combining soothing heat for achy muscles with TENS (transcutaneous electrical nerve stimulation) technology, the Omron Heat Pain Pro® TENS Unit superbly relieve acute muscle and joint pain. As writers who tend to spend hours in one position, we can attest to the incredible pain relief we’ve enjoyed from this device. This safe and effective health device relieves multiple body pains. It offers 6 pre-set body pain modes (arm, lower back, leg, foot, joint, shoulder) and 3 massage modes (tap, knead, rub) with 20 levels of intensity to help relief multiple pains throughout the body. Logitech MX Sound 2.0 Computer Stereo Speakers, $99.99 – Get ready for outstanding, premium sound right at your desk. The elegantly crafted Logitech MX Sound 2.0 Computer Stereo Speakers boasts Logitech Easy-Switch™technology that lets you seamlessly switch between audio sources. It delivers balanced audio that accurately reproduces the sound artists intended with a 10° backward tilt puts you in the listening sweet spot. It features silver accent rings, motion-activated back-lit controls and high-end fabric covers for the most sophisticated appearance. And gives you the capability of pairing Bluetooth devices with a light touch to the motion-activated, back-lit controls on the speaker front. What more can you ask for? What are your thought on our 2017 Holiday Gift Guide? Are there any other tech toys you’d like to see highlighted in our next 2017 Holiday Gift Guide installment? You in-ear headphone users and tech aficionados may have noticed that some audio accessory and tech brands have launched some very cool earbuds…….with no strings attached………literally! We’re highlighting four tech brands, Jabra, Earin, Phazon, and Samsung, that have launched great wireless in-ear earbuds that will not only blow you away, won’t fall out, and look very stylish…..unlike a certain brand’s lengthy version that sort of look like strange earrings. 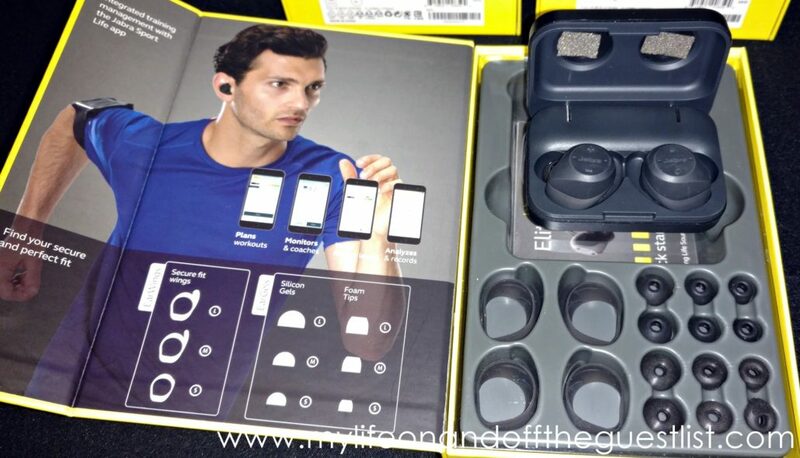 Made for the true sport lover, the waterproof and sweat damage proof Jabra Elite Sport True Wireless Sports Earbuds is made for truly active people. Get ready for superior sound quality for music and calls thanks to two microphones in each bud that work together to filter out background noise; up to 3 hours of music and talk time with an additional two charges from the on the go portable charging case; customizable fitting options that includes a variety of ear gel and ear wing sizes for a secure fit no matter how vigorous your workout; you can also filter in and out the sounds that surround you keeping you aware of what’s going on around you; Jabra Elite Sport also gives you the option to wear one or both buds depending on your activity, and measures your heart rate through their integrated fitness app, Jabra Sport Life. 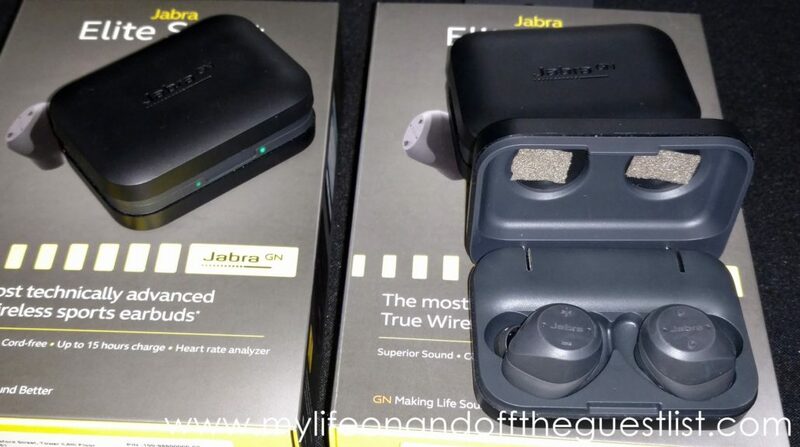 The Jabra Elite Sport is only available in black and retails for $249.99. The next groundbreaking wireless in-ear earbuds are the Earin M-1 Wireless Earbuds, some of the smallest and lightest wireless earbuds we’ve seen. They take the minimum to the max, measuring only 3.5 g, and 14.5 mm x 20 mm. Built with two dedicated amps driving high-precision balanced armature speakers for incredible acoustic detail and clarity, excellent mid and high tones, a tight bass response, to deliver a breathtaking audio experience. 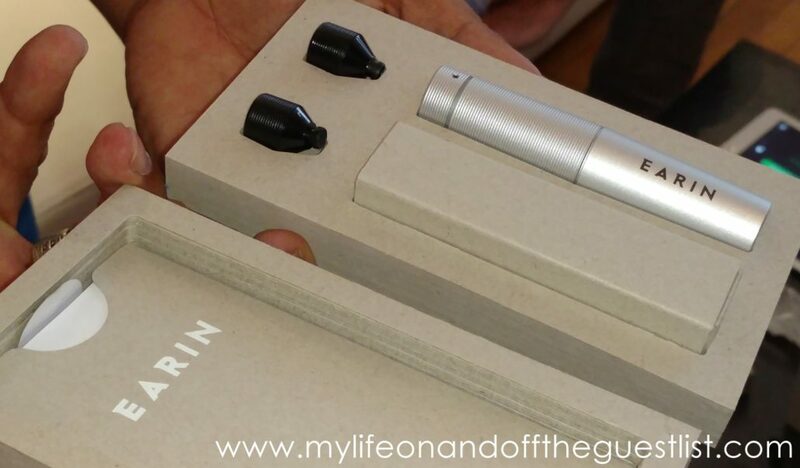 The Earin are housed in a sleek capsule no larger than a lipstick that easily fits into your pocket, that charges the wireless in-ear earbuds when they’re not in use. 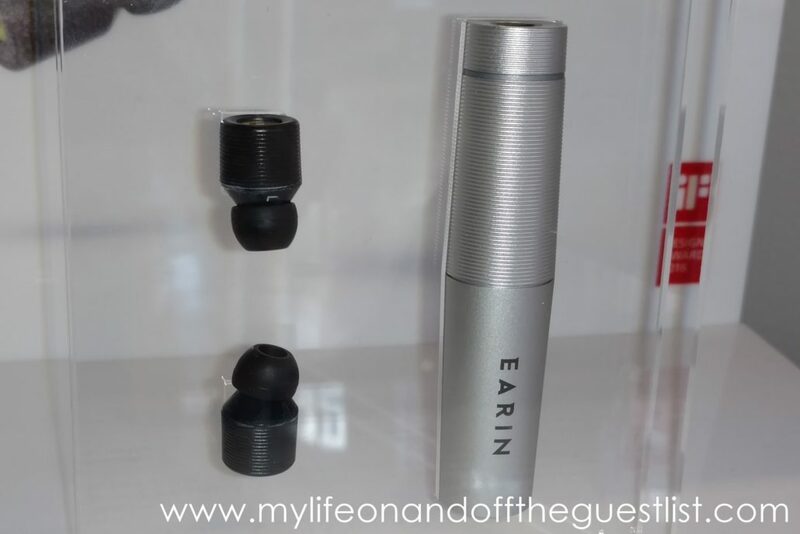 The Earin M-1 Wireless Earbuds comes in black with either an aluminum or black capsule for $199.00 each. For those looking for the great features of wireless in-ear earbuds but with a touch of color that is guaranteed to never fall out. 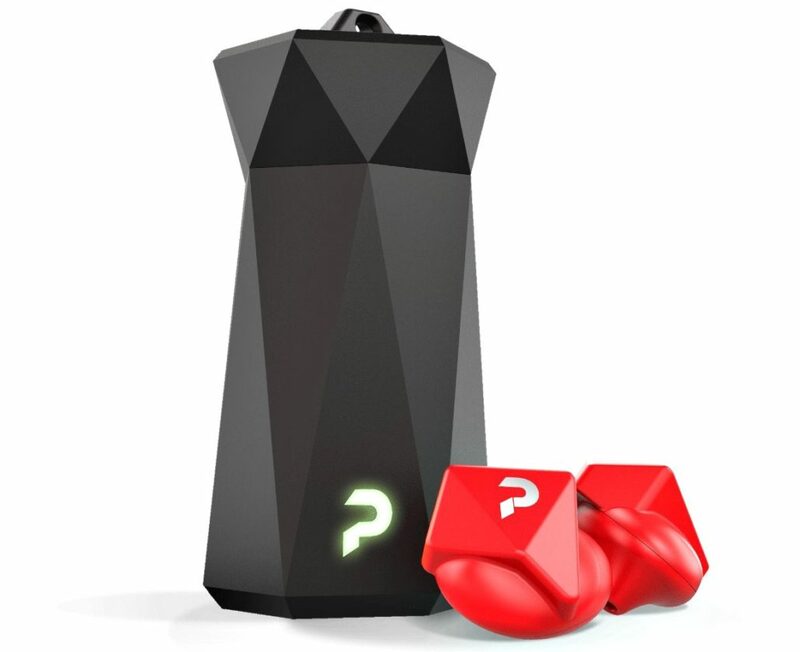 The 3D models Phazon True Wireless Earbuds (shown above with its chess piece-like charger) boasts two microphones working in unison, a long battery life (6 hours with one charge in mono mode or 3 hours in stereo mode plus an additional 9 hours of playtime with your charger). They feature a guaranteed universal fit with no adjustable wing, tip or cone, are also dustproof, shockproof, and waterproof, so waterproof that you can go underwater up to a maximum of 10 feet (3 meters) with them, and with one tap to the earbud, you can change the track, pause the music, or answer a call. The Phazon offers audio transparency so you can hear what’s happening around you while pumping your music, and is available in seven colors – Crimson (red), Graphite (dark grey), Midnight (blue), Sunset (orange), Ashen (white-grey), Perse (purple), and Lush (green). 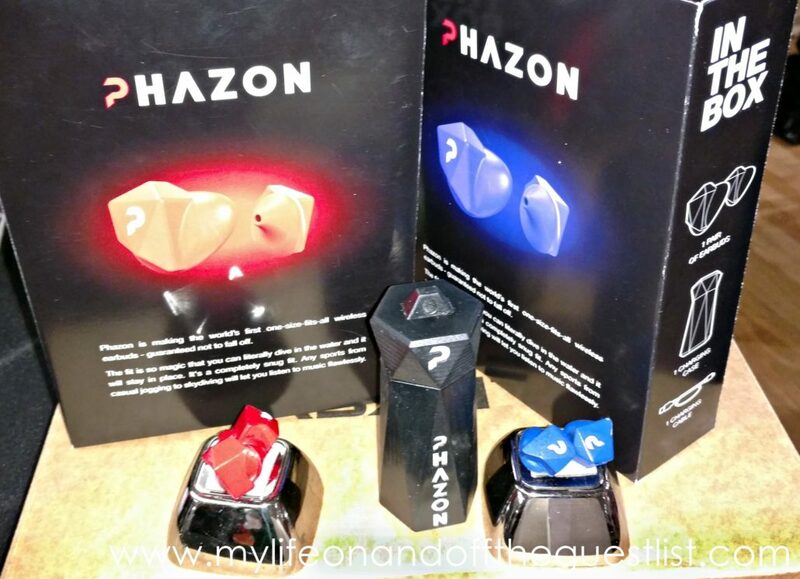 You can pre-order the Phazon True Wireless Earbuds now for $199.00, and receive a worldwide, universal, 2-year warranty on the electronic components of the Phazon earbuds to all registered customers. Last but certainly not least on our wireless in-ear earbuds list is the Samsung Gear IconX Wireless Earbuds. The water-resistant Gear IconX has adjustable wing and ear tips that come in small, medium and large. It boasts a built-in 4GB music player for phone-free listening; you can switch songs, take calls and turn on ambient sound mode with one touch. The Gear IconX case doubles as a charger, so you can power up whenever it’s stored in its case. Fitness-wise, the Gear IconX boasts built-in sensors that can directly track your speed, distance, heart rate, and calories burned. The Samsung Gear IconX Wireless Earbuds comes in three colors – black, blue and white, and retail for $199.99. What are your thoughts on these wireless in-ear earbuds? Any favorites from this list of four tech brands? Tis the season for giving again, and boy do we have some ideas for you. 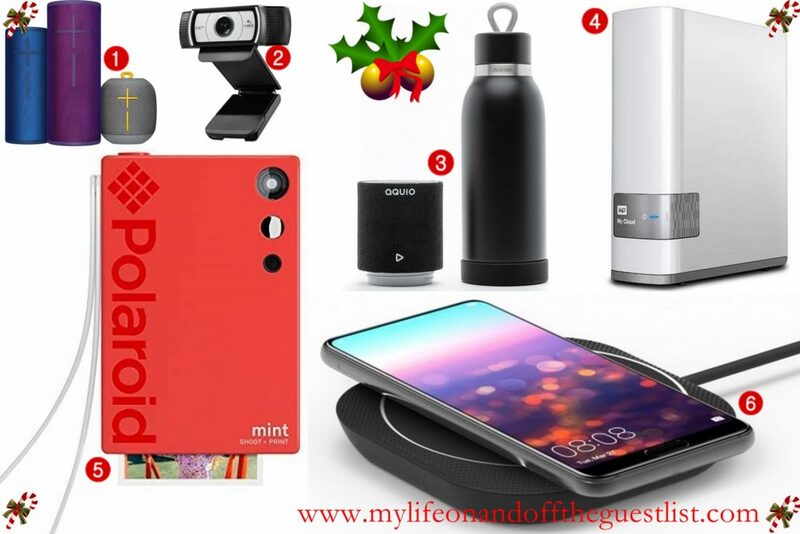 Are you having problems getting the perfect gift for the tech lovers in your life? 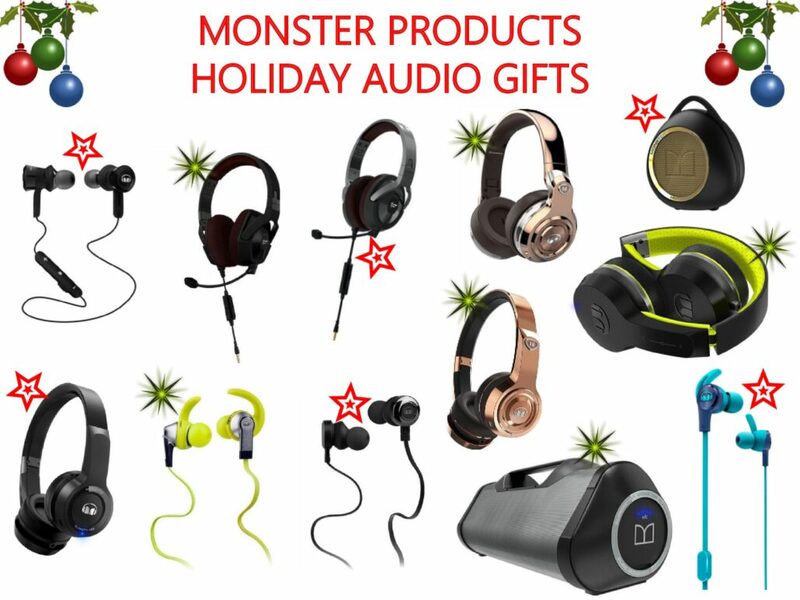 We’re here to make it easy for you with these amazing holiday gifts from Monster Products. Whether you’re looking for something they don’t have or just looking to upgrade their gadgets this holiday season, Monster Products has some great audio accessories that will make wonderful Christmas gifts to choose from. 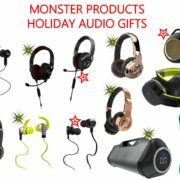 What’s Hot for Holiday Gifts from Monster Products? How about the gift of these great audio devices! These new audio products from Monster products definitely don’t disappoint in performance, design, and budget, and the music lover or techie on your list will love receiving any of these. Featuring Monster Performance for Less, these sleek ClarityHD High-Definition Headphones (wired and wireless) boast a low-profile modern design and texture. These technology and feature-packed headphones are the perfect gifts for students and commuters. 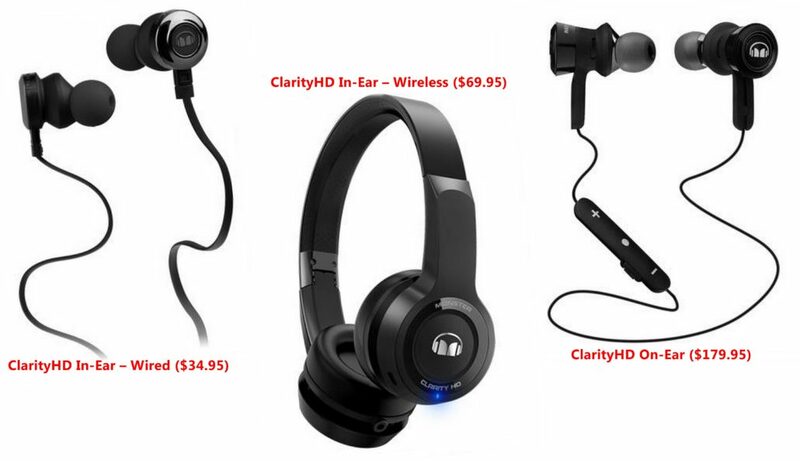 Why settle for the earbuds that come with your devices, when any of these ClarityHD headphones provides industry-leading sound and flexible listening options. The ClarityHD In-Ears are the best sounding headphones under $99.00. The ClarityHD On-Ears boasts two sound profiles (natural and super dynamic), built-in high-intelligibility mics and Active Echo Suppression enable crystal clear calls, ultra-soft ear cushions, and a concealed adjustable headband with non-slip silicon, and several more features. It retails for $179.95. 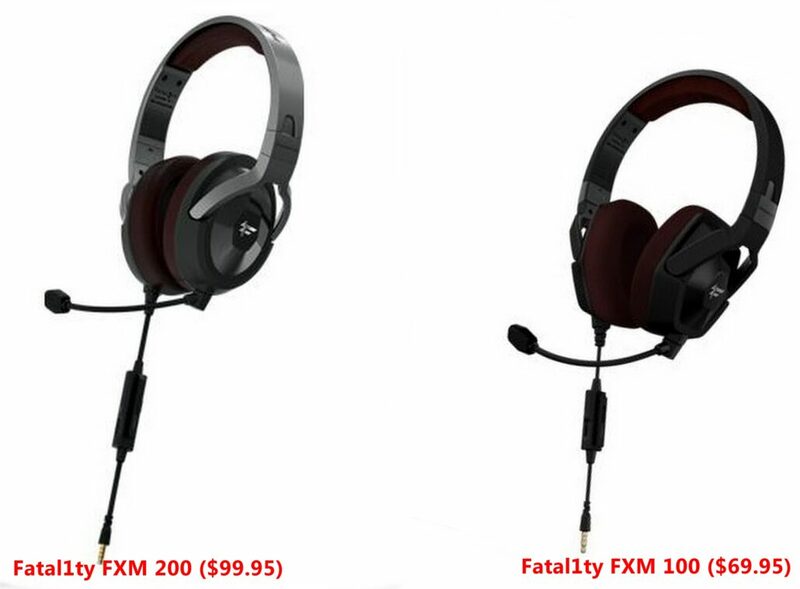 Designed by world champion gamer Johnathan “Fatal1ty” Wendel and Head Monster Noel Lee, the Fatal1ty FXM 100 and Fatal1ty FXM 200 gaming headphones feature Pure Monster Sound and provide ultra-clear sound to help gamers recognize game-critical audio details quicker, with no distortion. The best part is gamers can go from the virtual world to the real world without changing headphone. The Fatal1ty headsets have an elegant design aesthetic that easily translates to everyday wearability. The two models, the FXM 100 and FXM200 are available at Best Buy and BestBuy.com. The Monster Elements is the company’s flagship line of premium, luxury headphones. Elements let wearers proclaim their discriminating taste, with a color pallet inspired by the natural elements that exude confidence. 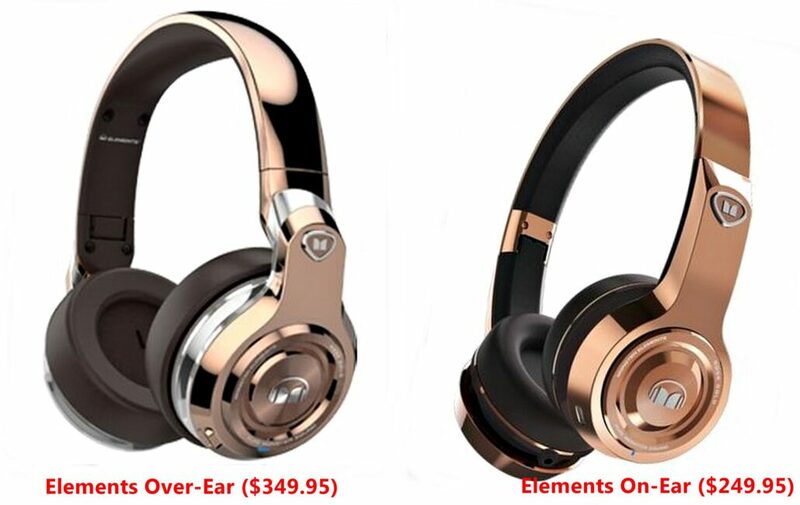 Elements headphones offer three options for premium listening modes: wireless, wired analog, and via a direct full-digital input, which leverages Elements’ high-quality D/A Converter for most android devices and makes them ready for any future devices that may only have digital outputs. 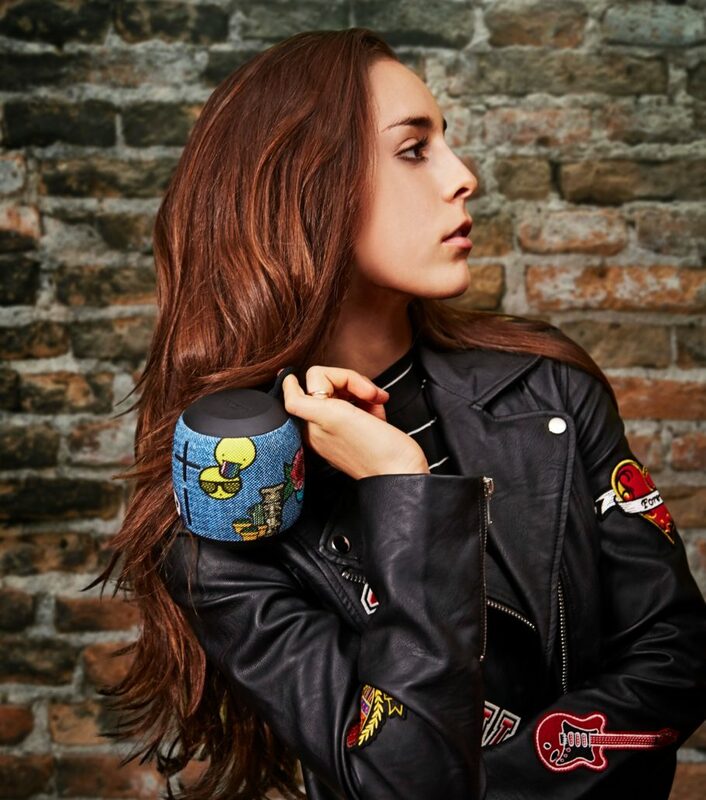 These stunning headphones are popular with athletes such as NBA star Sean Kilpatrick and Zach LaVine and artists like latin star Veronica Vega, actor/rapper Stro. Get both models at Monsterproducts.com. The SuperStar HotShot is perfect for students heading back to class or any music lover on the go. The portable huge-sounding Bluetooth speaker attaches right to your bag or just about anything with its carabiner hook. 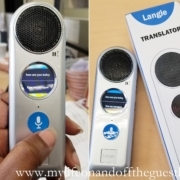 It’s integrated speakerphone allows for hands-free calling. Get the SuperStar HotShot at Walmart, Walmart.com, and Monsterproducts.com. The critically-acclaimed Monster Blaster (which we previously highlighted from CE Week), is a reimagined boom box for the 21st century. It is the perfect gift for families who love to entertain, college students, musicians, and dancers. This powerful, portable Bluetooth speaker features a bi-directional driver design that provides 360˚ of music. Add to that a down firing integrated powered subwoofer and the sound is extremely powerful without the use of batteries! 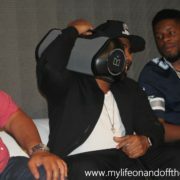 Get the Blaster at monsterproducts.com and select retailers around the country. Monster’s iSport headphones are the most comprehensive line of fitness headphones in the market. Referred to as the athlete’s headphone, each headphone is designed to maximize different workouts and is sweat-proof. Used by NFL star Antonio Brown, NBA Forward Sean Kilpatrick, and golfer Seema Sadekar. 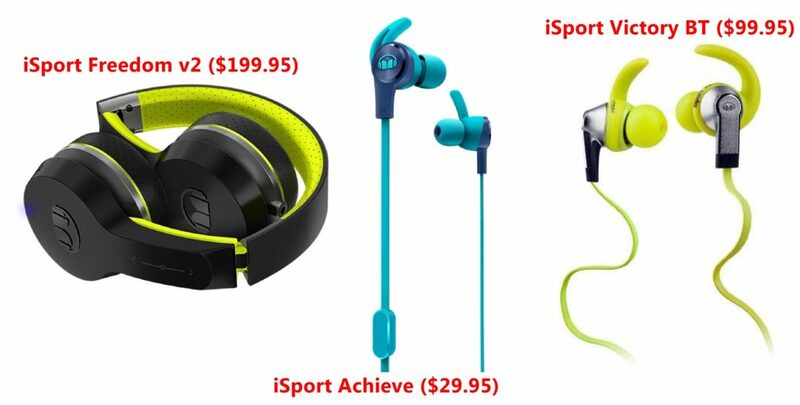 Monster Products has iSport models ranging from $29.95 – $199.95 that are available at Monsterproducts.com. Last minute shopping for the audio gadget and music lover will never be a pain again. 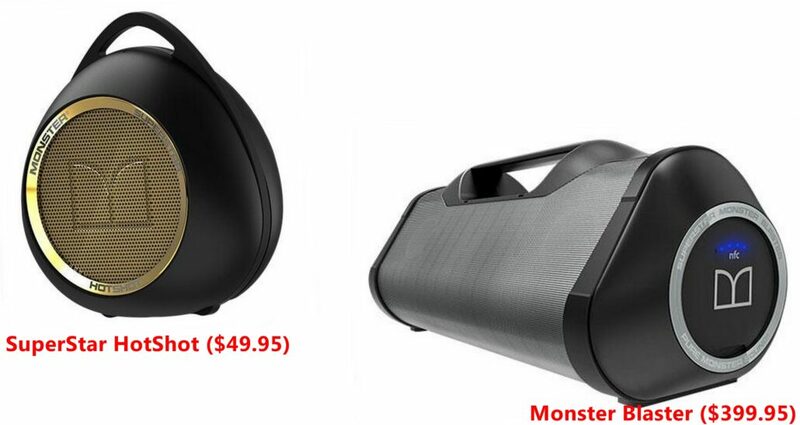 We promise you can’t go wrong with these awesome holiday gifts from Monster Products. Whether your gift is as small as an iSport or as grand as the Blaster, your friends and family will absolutely love receiving a Monster product this holiday season. Is it too early to be thinking of holiday gift ideas? Some of you may say yes but if you saw some of the wonderful products we say from iHome, most of which are available now, you’d change your tune. Today we’re highlighting some of our favorite products from the brand, all of which also make excellent back-to-school gifts. It was love at first sight when we laid our eyes on the iHome Color Changing Collection of products. Like us, the iHome Color Changing Collection will have you completely hypnotized. 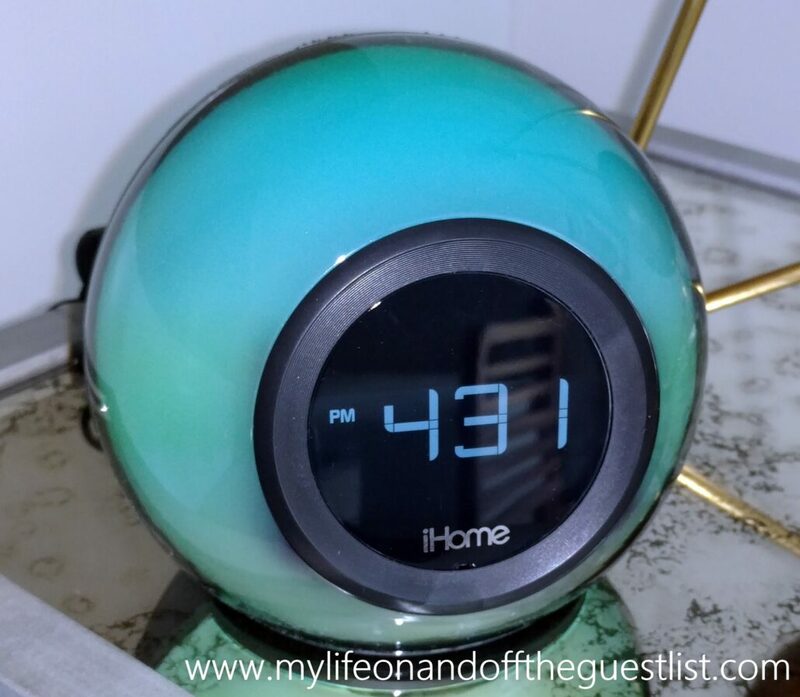 The iHome Color Changing Collection features a variety of products including Bluetooth and wireless speakers, over the ear headphones, and alarm clocks. With this collection, iHome literally fills your life with color, and coolness. We’re completely head over heels with the Bluetooth Color Changing Rechargeable Headphones with Mic + Remote which color changing effects include color spectrum, favorite color, strobe to the beat, and color pulse. These visually stunning Bluetooth and wireless headphones (it comes with a detachable flat cable that stays tangle-free) display a full spectrum of colors including blue, cyan, green, yellow, red, and purple. 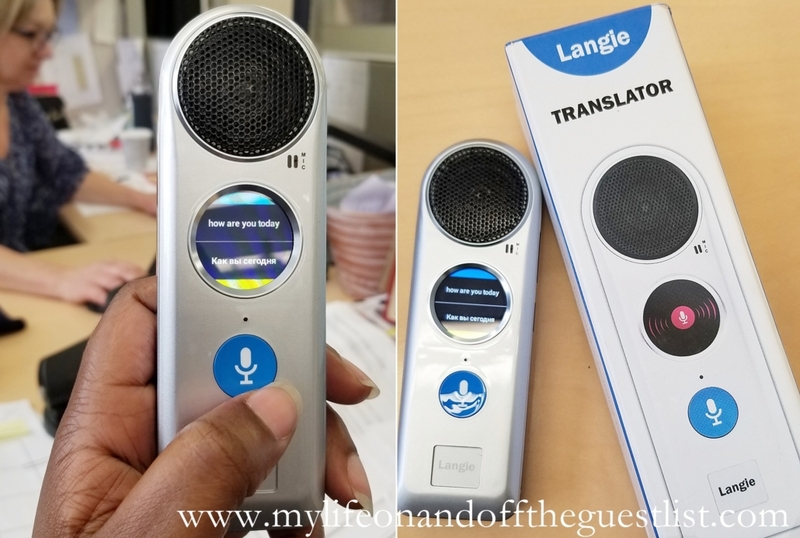 The Bluetooth boast an on-ear remote control that allows you to adjust the track selection, control play, and pause, answer and end calls, and control volume. Great looks aside, the great sounding headphones offer a rich and detailed audio sound, feature a rechargeable battery with included USB cable to charge it and it works with any 3.5mm headphone jack. Another favorite from the iHome Color Changing Collection is the above speaker. Whether you’re looking to add some coolness factor to a dorm room or at home, you can’t go wrong with the Wireless Splash-Resistant Stereo Speaker + Built-in Power Bank. This geometrically-shaped portable speaker is seriously too cool for words. Bring the party and lots of style with you wherever you go with this color-changing beauty that allows you to stream audio (music and calls) wirelessly from your Bluetooth-enabled audio device. Thanks to its accompanying app, you can control the lighting effects and other functions, change to one of the six color modes to set the mood: Fast color blend, slow color blend, favorite color, EQ-style pulse to music, wave mode, and off. Its rechargeable internal lithium-ion battery allows you to enjoy up to 10 hours of music on the go. What more can you ask for! For fans of all things small, iHome has the iBT682 Rechargeable Bluetooth Wireless Speakers (pictured in the second photo above) which has the features of the Wireless Splash-Resistant Stereo Speaker + Built-in Power Bank in a compact size. These powerful mini speakers, which fit in your hand, can be used together or separately (that’s right, you get two of these color changing, translucent speakers). Enjoy up to 8 hours of music without missing a call. For more powerful music in a small size, check out the below Bluetooth Color Changing Dual Alarm Clock FM Radio with USB Charging and Speakerphone. This Bluetooth-enabled alarm clock wirelessly streams music from your iPhone, iPad, Android, Windows, and other Bluetooth-enabled devices. 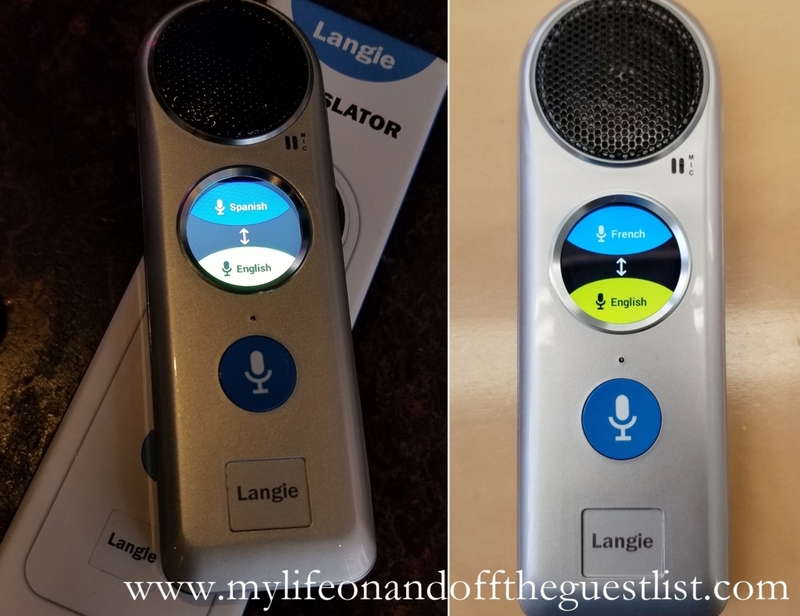 It comes with a built-in mic, voice echo cancellation, answer and end call controls, FM radio with 6 presets, and two independent alarms that let you wake to either your playlist, FM radio or the built-in tone at separate times. It also features a USB port for charging both iOS and other devices, so you can enjoy your music while charging your device. This makes a great gift for any student who needs help waking up at home or at school. 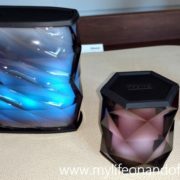 All of these iHome Color Changing Collection products are available now at completely affordable prices. Nothing we’ve shared today is over $70.00. Great and very stylish technology at a great price. What are you thoughts on the iHome Color Changing Collection? Any favorite devices? During the mid-1970s, the first social sharing music device, the boombox, made its grand debut. The boombox, a portable cassette tape recorder/player with AM/FM radio, filled a desire for a shared music listening experience. It took music to the streets. Over the years, they became bigger and heavier as the desire for louder, more significant bass grew. In 2001, when Apple introduced the iPod, it spelled the end of the boombox. For 15 years, music became personal, it was no longer a shared music experience……until the Monster Blaster boombox. This reimagined boombox takes the classic and updates it with modern design and the latest in wireless technology. The Monster Blaster boasts Bluetooth technology, charges via USB for up to 12 hours of continuous listening, and frees you from batteries. Other features include indoor and outdoor EQ Modes, waterproof and splash-proof, Bi-Directional Driver Design with full range drivers in angled 360⁰ orientation, a down-Firing Integrated Powered Subwoofer, quick pairing via NFC, a 3.5mm Aux-In to connect any audio source, 3.5mm Microphone Level Input makes the Blaster a portable PA system, and a powerful enough sound for large, open spaces. To welcome the return of much-celebrated “ghetto blaster”, Monster held a panel during CE Week on the “Evolution and Impact of the Boombox on Pop and Hip-Hop culture, followed by a Break Dance competition.” The panel featured some of the most influential DJs, hip-hop artists, and music influencers, including Video Music Box’s Ralph MacDaniels, Chuck Creekmur from allhiphop.com, musical artists Bodega Bamz, DJ Enuff, Mims, and Dorrough Music. The Breakdance competition which followed the panel included the Monster Blaster boombox and a check for $500 as prizes. Competitors included Uncle Will, Gravity, Roflow, Pete Nasty, Rugrat, etc. 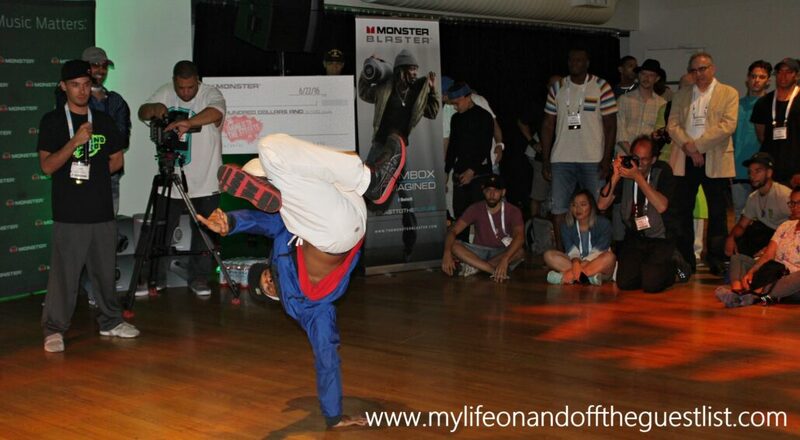 The breakdancing competition introduced the partnership between Monster and Ground Zero Crew, Miami’s most notorious, world champion Bboy breakdancing group. This partnership, the first for a brand and dance group, birthed the “Taking It To The Streets” tour, a multi-faceted cross-country that celebrates the Monster Blaster boombox. Tour stops include SXSW, Miami, New York, San Francisco, Chicago, Detroit, Atlanta, and Philadephia. 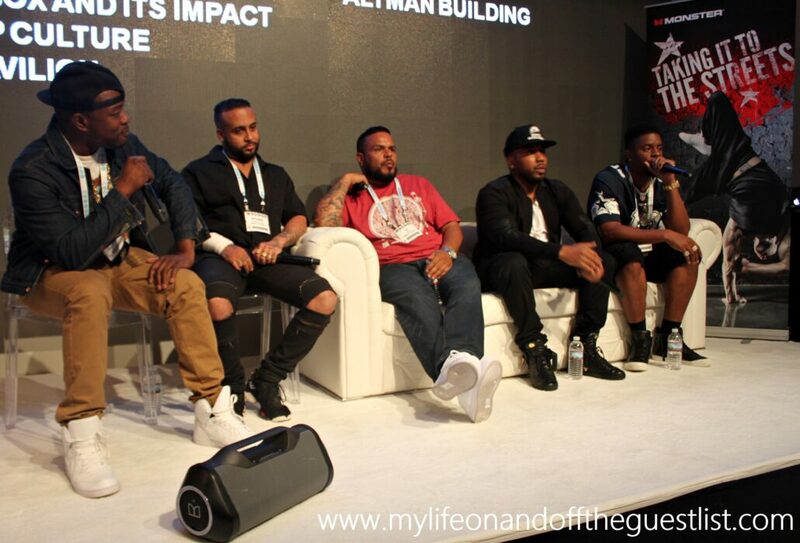 The Taking It to The Streets tour features music and business related discussion panels (like the one held during CE week), led by local DJs, hip-hop artists and music influencers across the US. 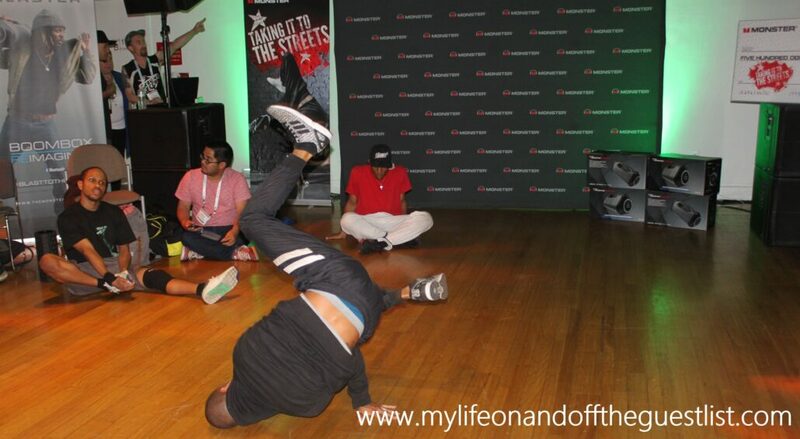 The tour recently made a stop in Miami, where the Ground Zero Crew organized a pop-up dance breakdancing competition. 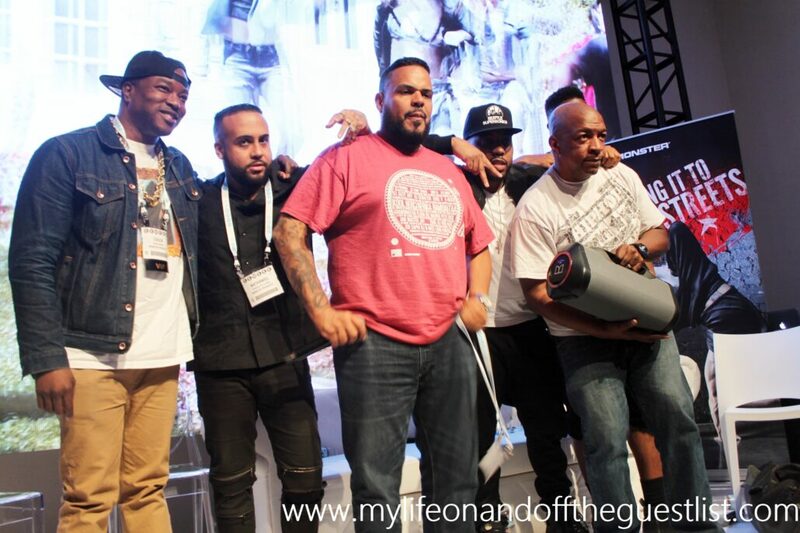 Miami’s hip-hop elite attended the panel and enjoyed “Monsterous Breakdancing battles” hosted by Ground Zero Crew’s founder Bebe Fernandez, well into the night. 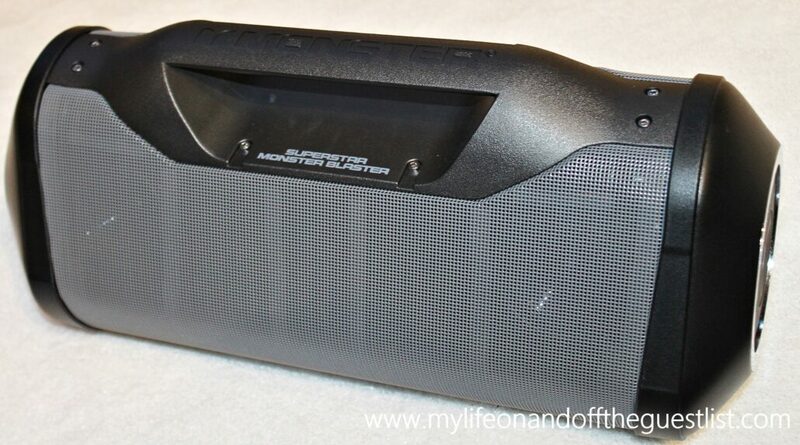 The Monster Blaster boombox is available now and retails for $399.95 on www.monsterproducts.com.